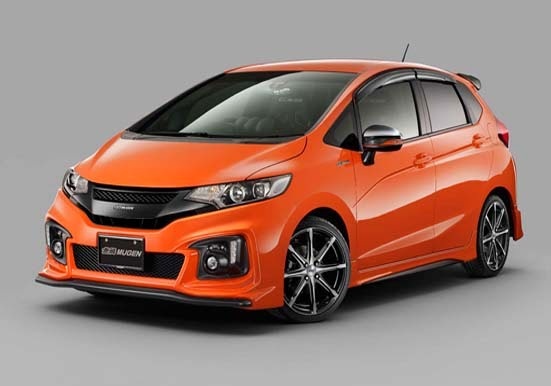 If you feel the Honda Jazz too cute his appearance, then select only the Honda Mugen Jazz RS. At the Tokyo Auto Salon 2014 Honda Mugen Jazz RS will be on display. There is no detailed information about the Honda Mugen Jazz RS for now. However, from the photo above we see bumper, side skirts, rear spoiler, the house rear view mirror, and the wheels look new. 1.5-liter i-VTEC, FWD, with a choice CVT transmission or 5-speed manual. Tokyo Auto Salon 2014 itself will take place for 3 days (10-12 January) at Makuhari Messe, Chiba.